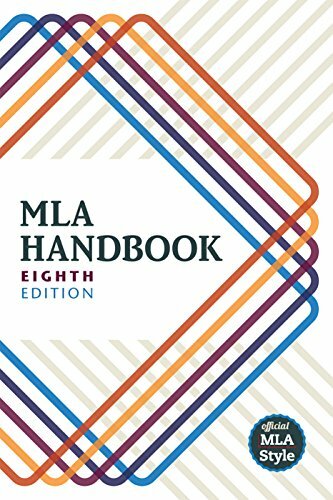 The MLA Handbook, 8th Edition was published in April 2016 and adopted by IRSC Libraries in August 2016. Many databases and citation generators have updated to the 8th edition. Please check with your instructor about which version of MLA to use in your assignments. 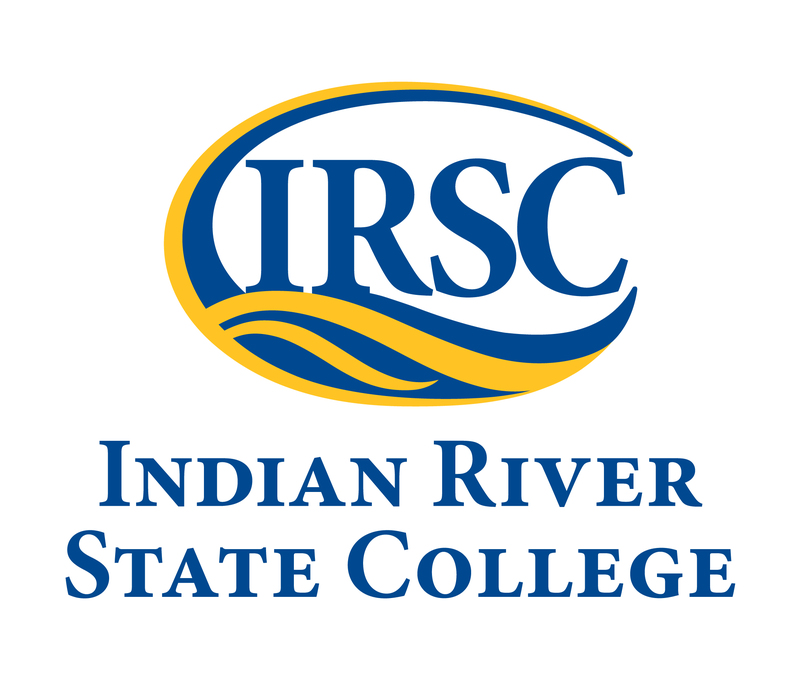 Visit the IRSC LibGuide for MLA, 7th Edition. The core elements of any entry in the Works Cited list are shown in the chart below. The core elements are in the order in which they should appear, followed by the appropriate punctuation mark. If an element cannot be found or does not apply to the source being cited, omit that element from the entry. End the entry with a period. Each core element is explained in detail with examples on its own page under the Works Cited Entries Core Elements dropdown menu. The standard citation style guide for the humanities, especially languages and literature, is the MLA Handbook, 8th edition, 2016. The Modern Language Association of America (MLA) publishes the manual. It is commonly referred to it as the "MLA Manual" or the "MLA Handbook". The English departments at IRSC recommend MLA format for papers written in these fields. In-text citations appear in the body of your paper. They identify your use of an idea or quotation from one of your sources. The MLA Handbook uses the author-page citation system for in-text citations. Information about the sources you use in your work are included as a separate list at the end of the paper. The MLA Handbook suggests using the title, "Works Cited", for the list. Any source information that you provide in an in-text citation must correspond to a source in your Works Cited page. If a core element does not exist or cannot be found, simply omit the element from the Works Cited entry. Placeholders including "n.d." for "no date" and "n.p." for "no publisher" are no longer used. For sources with three or more authors, list the first author's name followed by ", et al.". The city of publication for books is no longer included. Journal volumes and issues are now formatted: "vol. 12, no. 3,". If a journal issue includes a publication month or season include that in the publication date, like: "Spring 2016," or "Jan. 2016,". 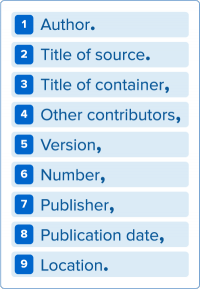 If an organization is both the author and the publisher, list the organization only once as the publisher and begin the citation with the title. Include a DOI (digital object identifier) when available using the format "doi:############." If a DOI is not available, use a stable URL. The URL, without http:// or https://, should be included for Web sources. Angle brackets are no longer used. The source's medium (Print. Web., etc.) is no longer included. In the Works Cited entry, "p." is used before citing a page number and "pp." is used before citing a page range. These are not used in the in-text citation. Read more about the changes to the new edition in this article from the Modern Language Association. Always refer to the MLA Handbook for authorized examples of citations. Some of the citations in this guide are taken from the MLA Handbook; others are recommendations from IRSC librarians. Always ask your instructor for specific directions pertaining to your assignment. MLA Style Guide, 8th Edition LibGuide by Angie Neely-Sardon, Indian River State College is licensed under a Creative Commons Attribution-NonCommercial-ShareAlike 4.0 International License. Based on a work at https://style.mla.org/. Permissions beyond the scope of this license may be available at http://irsc.libguides.com/prf.php?account_id=63648.